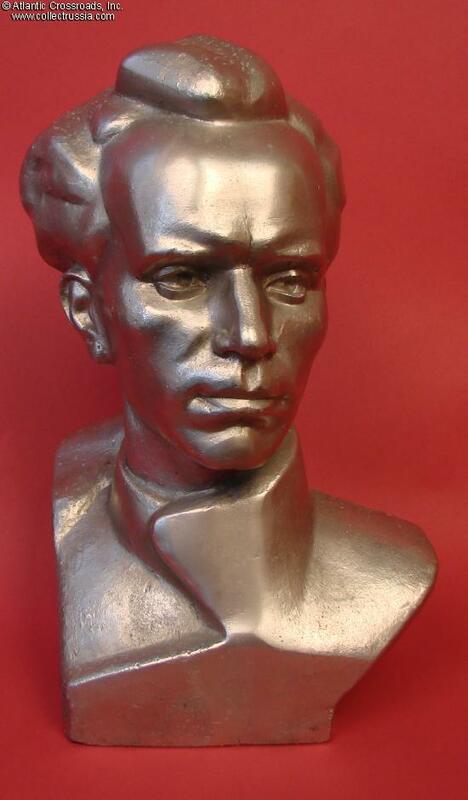 Nikolai Ostrovsky, bust in Silumin alloy, circa 1970s-80s. A very large and imposing rendition, measures 13" tall, approx. 8" across the shoulders. The sculpture is based on the iconic photograph of the paralyzed and blind writer famous for his novel How the Steel Was Tempered («Как Закалялась Сталь»). This Civil War novel is fictional but the life and exploits of its main character, a young Bolshevik Pavel ("Pavka") Korchagin, bear similarities with the author - or at least such was the official version of the story. Like the protagonist of the novel, Ostrovsky joined the Communist movement at a very young age, well before the revolution. It however remains unclear if he ever fought in the Civil War as did his hero Korchagin, and it was the arthritis of the spine, an autoimmune disease, that led to the Ostrovsky's paralyses, blindness and eventual death - not so much combat wounds or typhus contracted during the war like the protagonist of the story. Propaganda through and through but whatever might be the case, the book was fairly well written. It became very popular due in large part to perceived heroism of its author, a kind of Soviet Homer and Odysseus put together. 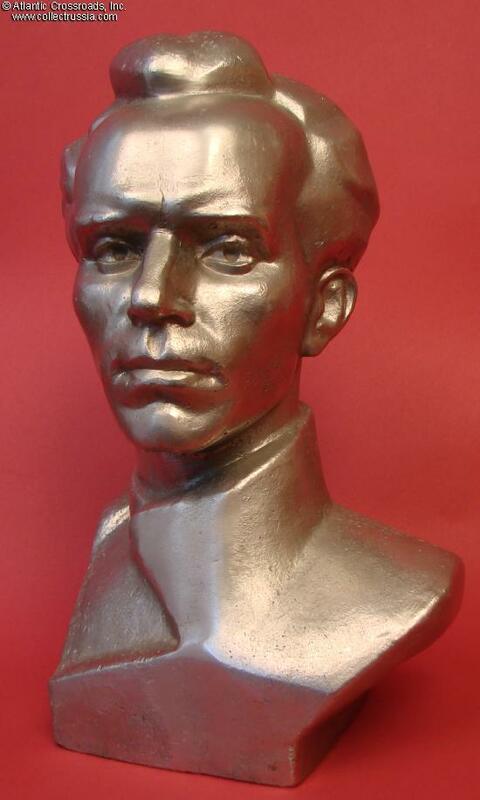 Ostrovsky was of course made a national hero, declared a living classic of socialist realism style and was awarded with an Order of Lenin, the highest Soviet decoration. He died in 1936 at the age of 32, but How the Steel Was Tempered remained required reading in school until the fall of the Soviet Union. Compared with many other books of the Soviet high school program it was actually fun to read (with all the adventures, action, combat and what not). 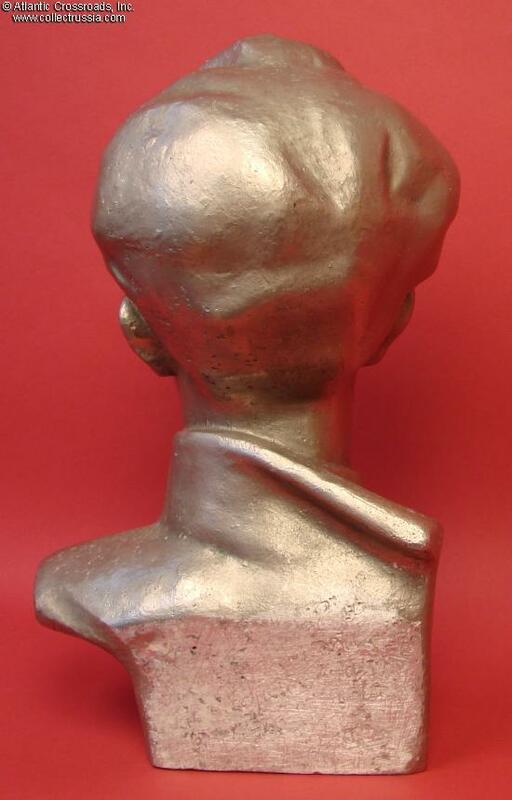 The bust is in good overall condition, will display nicely. 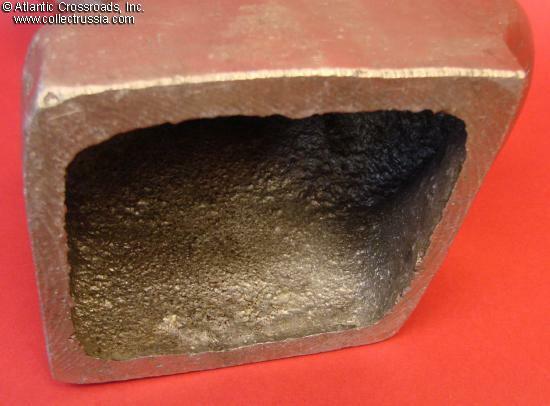 The back of the plinth once had a presentation engraving which has been crudely ground off, but the damage is limited to the lower portion where it won't be readily noticeable. The finish on the upper part, front and sides of the sculpture is well preserved. 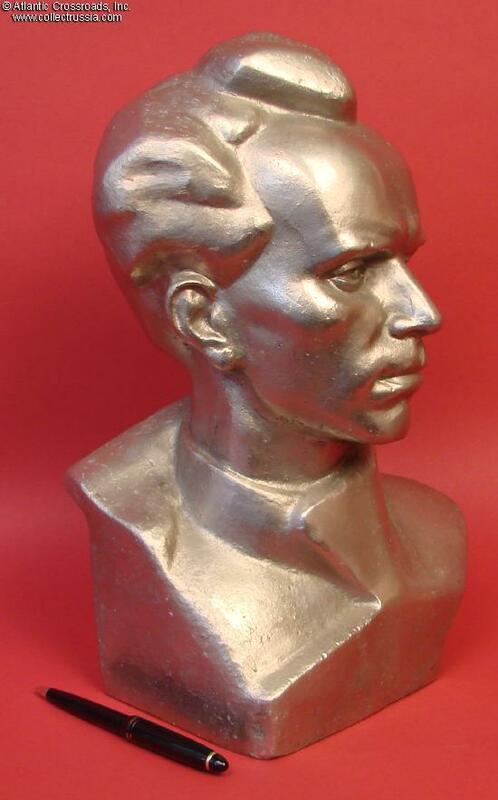 This uncommon and impressive bust can be an excellent addition to the "pantheon" of other famous Soviet personalities.